Discussion in 'Resources & Success Stories' started by DomainNames, Oct 3, 2017. Australia and New Zealand Banking Group is looking to tap into Australia's endless real estate fascination by acquiring an emerging Australian tech start-up that has created an app to let prospective home buyers find out accurate sale price predictions for properties on the market. The acquisition of the start-up REALas comes as the bank is undergoing a transition to "agile teams", in an attempt to replicate the way tech giants such as Google and Facebook operate. 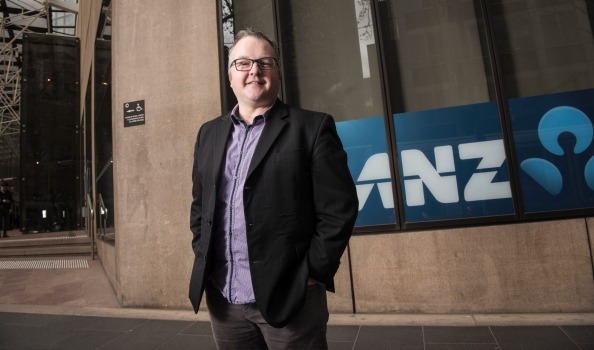 ANZ managing director of customer experience and digital channels, Peter Dalton, said the bank saw value in its customers having access to accurate price predictions when buying a house. "Purchasing a home is one of the biggest decisions many of our customers will ever make. Today buyers find it difficult to know what prices properties will sell for, and they can spend precious time trying to figure out what they can really afford," he said. "REALas has a great analytic-led offering, with a unique algorithm that offers the most accurate price predictions to help those in the property market." The financial terms of the REALas acquisition were not disclosed, but it is understood to be in the low millions. REALas chief executive Josh Rowe, who joined the six-year-old start-up in 2014, said the deal had been in the works for 12 months. "[In mid 2016] we were looking for further investment from investors outside of the original group. We understood customers of REALas wanted more from it – more coverage, more accurate predictions," he told The Australian Financial Review. "We spoke to venture capitalists, we spoke to high net worths, we spoke to everyone in the industry and it was ANZ we started off having a partnership conversation with, which turned into an acquisition. "What you see now is that not only has ANZ acquired REALas, it's created a brand new delivery and service." Under ANZ the size of the REALas team has doubled and its website has had a refresh. It now predicts property prices more accurately and also provides photos of the properties for sale and the price per square metre. It also gives users the ability to "favourite" properties and demonstrates the accuracy of REALas' predictions for sales in a designated suburb or region. Mr Rowe, who was previously the head of digital for Medibank Health Solutions and the e-commerce market development manager for Australia Post, said the extra resources provided by ANZ would let it beef up its marketing efforts and make more improvements to the website. One of the first new features in development is an online communications tool, aimed at simulating the natural chatter that occurs when people go to an open house for inspection. In 2015 ANZ also bought micro-donation charity start-up Shout for Good and earlier this year chief executive Shayne Elliott signalled a greater willingness to not just work with but invest in start-ups. At the time he told The Australian Financial Review there were businesses out there that were far more agile than ANZ. "It has become obvious to us we need to learn how to partner with organisations that can help us bring some capability to the table for our customers and potential customers," he said. The other big four banks have also been investing in start-ups. Earlier this year Westpac's Reinventure bought payments platform start-up Doshii, which was spun out of Impos. ANZ's new agile methodology is designed to have cross-discipline "squads", with employees across the bank's departments working together on projects. The bank hopes the new approach will lead it to being more innovative, as it trials new ideas faster. It's also a rethink of ANZ's hierarchy. There will be far fewer management-level positions, with employees instead encouraged to move across the company and develop broader skillsets. Cherie Quin, Data Glasses, Ricky and 3 others like this. DomainNames and Cherie Quin like this.